Associated with manufacture is a range of auxiliary services frequently required to bring a new product to market. By far the most obvious is component assembly, followed by testing, packing and overall quality assurance. Jevny could offers turn-key assembly services in prototype or mass production.We handle the whole process including: ordering all the components, PCB manufacturing, PCB assembly, testing and final shipment. We are capable of assembling BGA, Micro-BGA, QFN and other leadless package parts. Requirements will vary considerably, so by far the best option is to contact us directly, to see how we will be able to help. Quality is at the core of our culture here at JEVNY.We are ISO9001:2008 certified which serves as the foundation for our Quality Management System (QMS).Our QMS is supported by a fully integrated ERP system allowing real time monitoring, updates and control. We integrate staff’s quality-mind into every process in production process. We create strict quality inspection standards and perform it effectively in the process from purchasing materials, machining to final packaging shipment. We also make use of advanced quality control approach to control the process and prevent errors in advance. 1.OES-It be used to inspect the relyability of metals, and it can tells our materials whether or not meet the requirement. 2.Hardness Tester-ultrasonic hardness tester can check the hardness and ductility. It is applied to extreamly wide range from the softest aluminum to very hard tool steel. ultrasonic hardness tester is also hand-held, and it can work on-site. 3.Surface Apparatus-We are equipped with San Feng surface apparatus. With the surface apparatus, we can measure product surface roughness to ensure the surface finishing meet requirements and provide customers with high quality feeling. 4.Coordinate Measurement Machine(CMM)-It can measure accurately all kinds of size of complex milling cavity parts,such as Position degrees, flatness, symmetry, alignment, cylindricity and roundness. This allow us to provide accurate date to customers,and ensure all product meet designing requirements and provide customers better service. 5.Optical Spectrum Analyzer-We use optical spectrum analyzer to analyze material composition to ensure our material meet customer’s requirements and comply with the REACH and RoHS regulations, and provide customers safe and reliable products. Under JEVNY quality management system, we strive to boost quality standards and introduce improvements to ensure that our clients are satisfied. 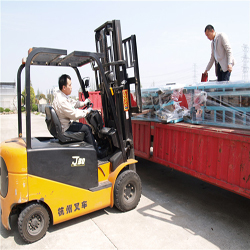 To ensure the transit security,we provide mutual packing way:carton,wooden box,plastic boxes and foam etc packing,(Considering fragile,Anti-pressure, we will Adjust Recommended way).The above packing way can determined by customers. Therefore, in order to protect the safety of the product, please tell us how to package in advance ,which facilitates the goods security. In order to Improve time efficiency and global coverage of products, we offer a variety of transportation by sea, land, air, rail, courier. So when you determined the production ,pls verify the shipping way you want to. We can send your products directly to your office or warehouse in your local as soon as possibe.